Gracious God, who clothes the grass of the field and feeds the birds of the air, on behalf of the church and the world we offer our prayers. We pray to you more from our need to be transformed by our awareness of them than from any need of God to be reminded of them. Free us from all fear and worry that, trusting in your goodness, we may always praise your mighty deed and give you thanks for the bounty of your gifts. Holy Father, Father of Christ whose work on the cross is all that we need, you are the bread of the earth and the bread of heaven which gives life to the world. Grant us grateful hearts to sing your praise, in this world and the world to come. 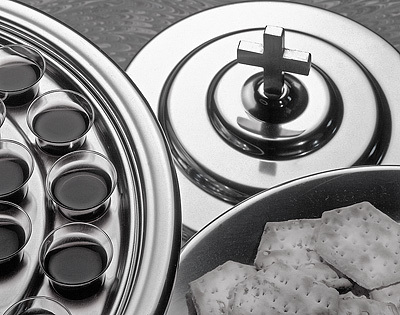 As we this week set a table of reconciliation, help us to be filled with the work of reconciliation and peace. As tension between Israel and Palestine and Syria and Egypt begins to grow, may those whom you call children be ever ready to seek the peace of the city of peace, Jerusalem. Almighty and gracious Father, we give you thanks for the fruits of the earth in their season and for the labors of those who harvest them. Make us, we pray, faithful stewards of your great bounty, for the provision of our necessities and the relief of all who are in need. In the name of the Father and of the Son and of the Holy Spirit. Amen.